After a busy Christmas, let's be honest, we could all use a drink. December 26th is National Candy Cane Day. 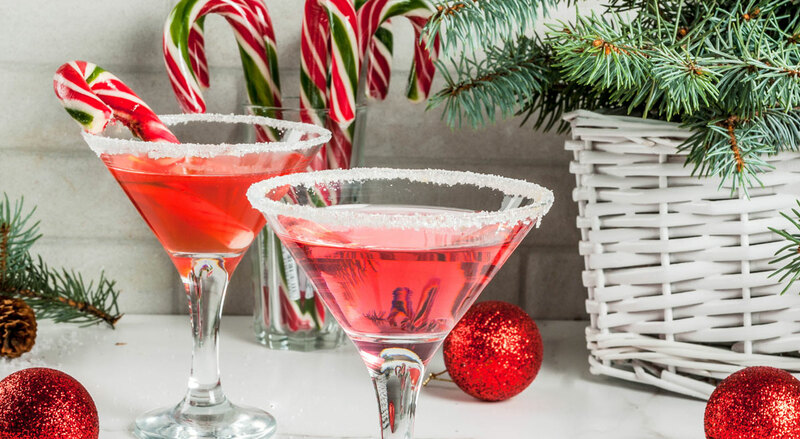 I can think of no better way of honoring that iconic (if not actually well liked) treat than making candy cane-infused vodka martinis. Christmas is amazing, but it’s also exhausting. All that prep work, decorating, wrapping presents. Heck, just deciding what presents to buy people gives me a migraine. Then your obnoxious aunt was complaining about your drunk uncle and all the kids, God bless them, are running around like banshees tearing open the next present and throwing the last one they opened over their shoulder like it didn’t take me 2 hours of surfing the web to finally find that thing anyway! Phew. I do love Christmas. But when it’s over, I’m glad it’s over. And sometimes, Momma needs a drink. And since the day after Christmas is National Candy Cane day, and there are all these candy canes around. Instead of pouring martinis and snacking on all that leftover bulk candy, why not combine the two for a fun, sweet get together? 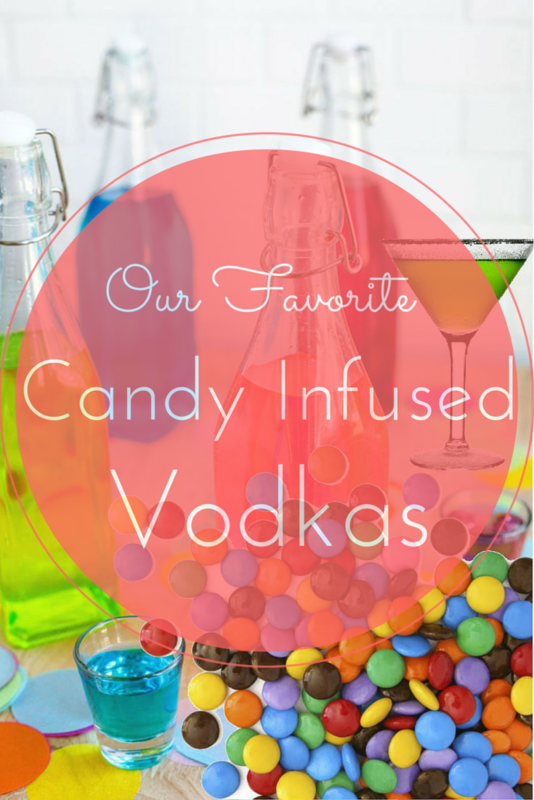 Candy-infused vodka is growing in popularity, and it’s an indulgence that we partake in every once in a while. If you’ve never infused vodka, you’re really missing out. It’s relatively easy, and super delicious. Here we go. Making candy infused vodka is a lot like making rock candy. There is one basic recipe, but many variations of it. 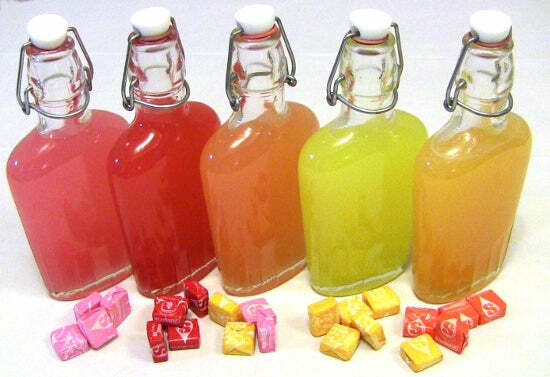 There are even more variations for infused vodka, because of the different candy types you can use. Pour candy into a glass container with a lid, such as a mason jar. 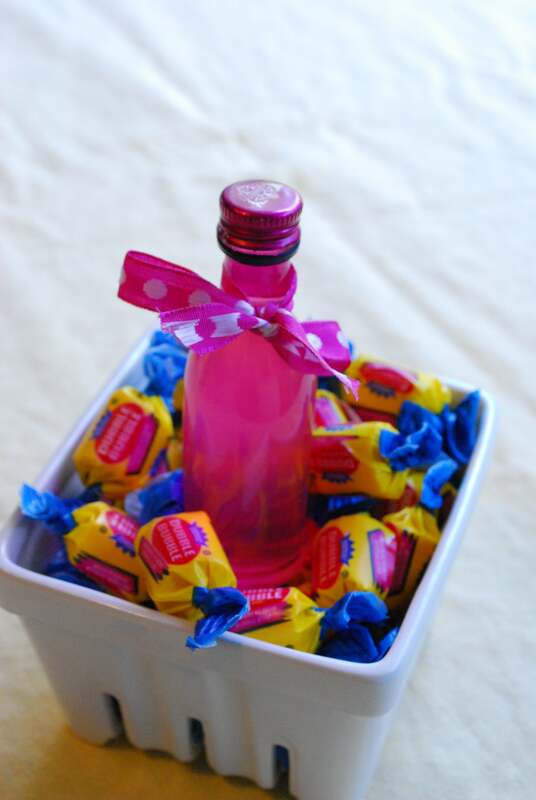 Pour vodka on top of candy, at least covering it and usually to fill three-quarters of the container. Seal container and let sit for some amount of time — usually at least 24 hours and up to a week. That’s about it. The last step, of course, means that there is plenty of variation. Which is why we’ve also come up with some guidelines. 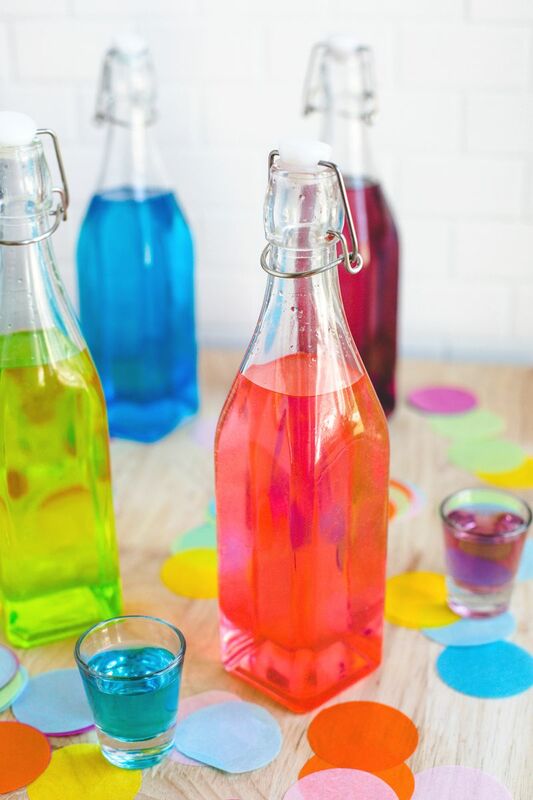 After looking at the wonderful candy infused vodka recipes we’ve gathered, you’ll probably want to try your own concoctions. Even better, you might be inspired to try some candies that aren’t in this list. After reading about and experimenting with candy infused vodka, we’ve come up with a set of guidelines for creating your own. Some of them are tough to follow (you won’t really know how long to infuse the vodka until you try), but if you keep them in mind you’ll probably create something at least drinkable. Go for a mid-range Vodka. You can infuse any kind of vodka, but we don’t see why you’d spend good money on a bottle of Grey Goose only to adulterate it. Avoid the plastic-jug vodka, but get something in the middle tier — something you wouldn’t be too upset if you ruined. Stick with a single flavor/color per infusion. Throughout this list you’ll find many multi-flavor candies. While you can toss them all into a jar and pour vodka on top, what you’ll get is an oddly flavored, brown-looking mess. If you’re using Jolly Ranchers, for instance, use just the watermelon — or, if you’re feeling adventurous, combine all the flavors that are colored red. But mixing and matching usually produces dreary looking results. Use mason jars or other glass containers. We saw some people using plastic containers to infuse vodka. While there are certainly platics that can withstand alcohol, we really don’t recommend it. You’ll do just fine with a mason jar. Some candies absorb alcohol well. This isn’t so much a guideline as a reminder. If you infuse gummy candy like gummy bears, they’re going to absorb a good amount of that alcohol. Find a way to serve them. No sugar coating. Most people don’t want to infuse something like sour candy or gumdrops, because the sugar coating will render the vodka far too sweet. Got it? 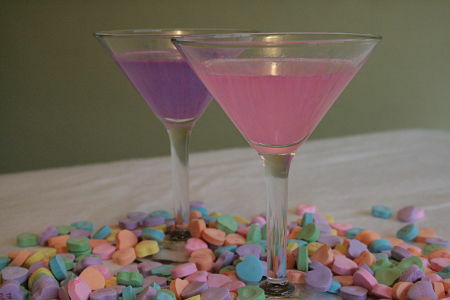 OK. Let’s move on to some of our favorite candy infused vodka recipes. There are two separate joys in infusing vodka: the flavor and the color. Fruity candies lend themselves to both. You’ll probably want to play with infusion times. Some of these candies can break down quickly, while others will hold together for a week. You can also play with combinations, although single-color infusions look significantly prettier. 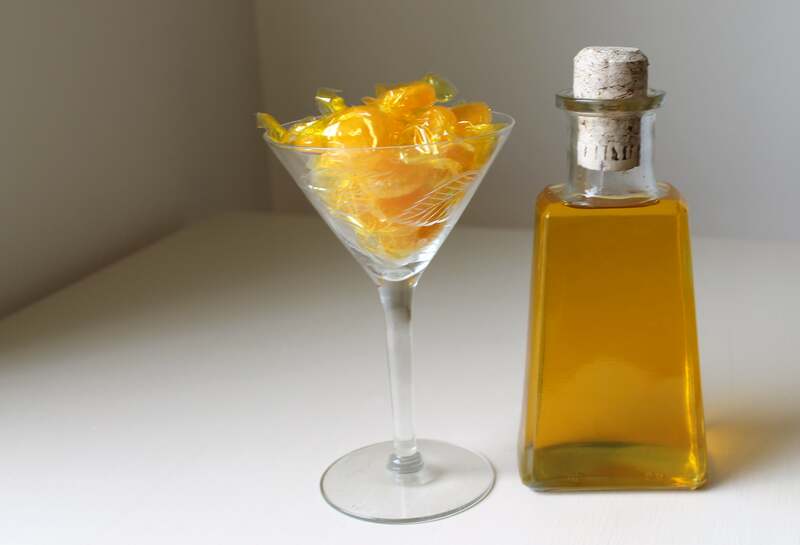 If you like your vodka sweet, then you are going to love this Starburst infused vodka recipe. Jen from Mix That Drink approached this infusion with gusto, creating bottles for every flavor in the pack — even combining the strawberry and lemon ones for an experimental flavor. The Starburst completely broke down within a day, so you’ll have to carefully filter these or else it’ll be all thick and syrupy. Get the recipe at Mix That Drink. We’re dipping right back into MTD, because they did a phenomenal job on not only Starburst, but also Skittles candy infused vodka. As with the Starbust, the Skittles dissolve overnight. You’ll need a very good strainer, such as cheesecloth, to make sure none of the goop makes it into your vodka. But once you get that stuff filtered out, it’s some fruity tasting vodka indeed. As you’ll see, many of these drinks could be classified in two different spots. While jelly beans clearly go into fruity candies, the addition of the marshmallow bunnies makes it kind of an occasion. But it’s a garnish, and so you can really enjoy this one anytime. 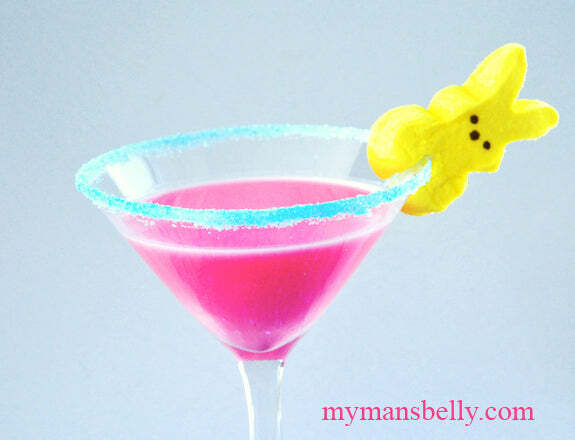 While this recipe calls for a martini, you can enjoy the jelly bean infused vodka by itself. If you want the cocktail version, add Chambord in place of Vermouth. It is quite tasty indeed. Get the recipe at My Man’s Belly. To be perfectly honest, you could probably infuse any kind of hard candy. You’d need to leave them in the vodka for a while, since it will take a long time for the candy flavor to mix in. But other than that, you can go nuts. At the same time, we’d like to share some of our favorites, because some are just that good. There was no way we were getting out of this one without mentioning candy canes. 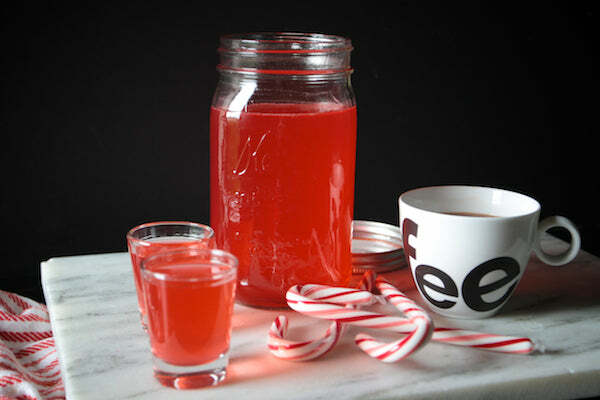 We left them out of our uses for leftover candy canes roundup, and for that we are sorry. But we’re making up for it with this delicious and beautiful creation. This is no amateur infusion attempt. This is putting your candy canes in the food processor to make sure you get maximum infusion. Seriously, pros only. Get the recipe at Shutterbean. Again, we could have put this one with the fruity candies, but Jolly Ranchers have really become the quintessential hard candy of our times. Most of all, Jolly Ranchers are perfect for combining, since they have many different flavors of each color. So go nuts, and find something that really suits your palate. This one is pretty basic, but at the same time something we didn’t think to explore at first. Like most hard candies, butterscotch buttons dissolve completely, so you don’t have to filter them out (though if you notice sludge or goop in your vodka, please do filter it). Yet it’s not so much the butterscotch itself, but rather all you can do with it. This is no one-dimensional infusion. Get the recipe and ideas at Baby Baby Lemon. It’s kind of a bummer that something like Sour Patch Kids won’t work for these concoctions, because a sour vodka martini sounds wonderful. Yet not all hope is lost. The ladies at Fashionably Bombed came up with a great idea: using Lemonheads candies, which are not covered in sugar. That way you’re getting pure lemony sour taste. These will take quite a while to infuse, so you might want to get started on them now. Get the recipe at Fashionably Bombed. Whether it’s a holiday or just a season, there are certain candies and cocktails that go better at different times of year. You could enjoy these whenever, but they’re probably better for themed parties and gatherings. 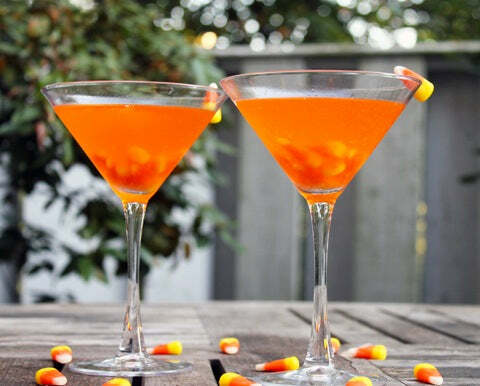 Before making this I had read, from many sources, that candy corn does not infuse well with vodka. Apparently that comes from people who 1) don’t like something sweet, in which case why are you making this anyway? 2) who used high-end vodka and ruined it, or 3) used low-end vodka. The Sues at We Are Not Martha created some excellent candy corn infused vodka, adding some butterscotch schnapps as a mixer. You might not be able to finish more than one, since they’re sweet, but this seems a lot better than we’d been led to believe. Get the recipe at We Are Not Martha. 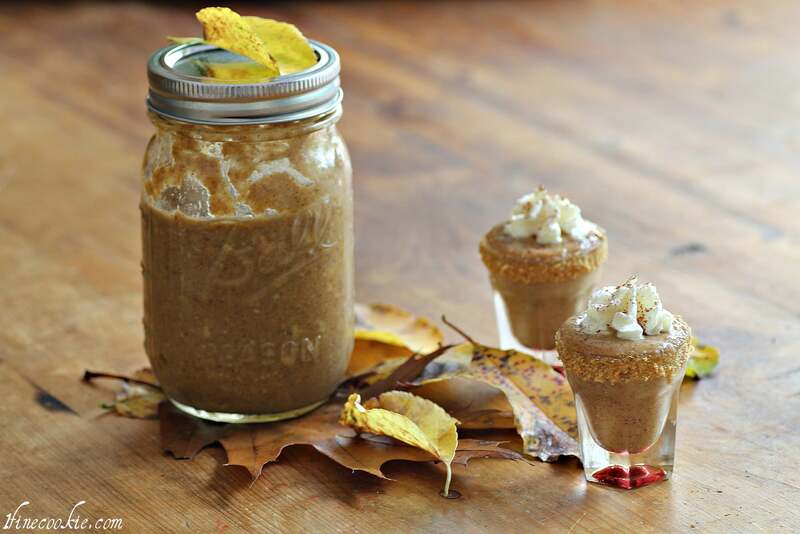 It’s not technically candy, but we came across this pumpkin pie infused vodka recipe and could not resist. You won’t just be using canned pumpkin. No, you’ll be using an actual whole pumpkin pie, whether homemade or store bought. Infuse, strain, and enjoy a delicious drink perfect for autumn. We’re already dreaming of serving these on Thanksgiving. Get the recipe, plus tons of awesome pumpkin pictures, at 1 Fine Cookie. I’ll be right up front with you: I am not a fan of conversation hearts, the little confections that pop up every year in February. If you drop them into some vodka, however, there might be a different story. These break up fast, and I would definitely recommend straining them, but otherwise they seem to make a perfectly sweet and pretty looking vodka. As always, make sure to separate colors. Get the recipe at Stylish Home — site is down :( . This one doesn’t really fall into any one category, which is fine. Why? Becuase it’s our, meaning my, absolute favorite infusion. So let’s get right to it. If you’ve ever sat in a dugout with a bunch of guys with nothing to do but chew sunflower seeds and chew gum, this one will be right up your alley. 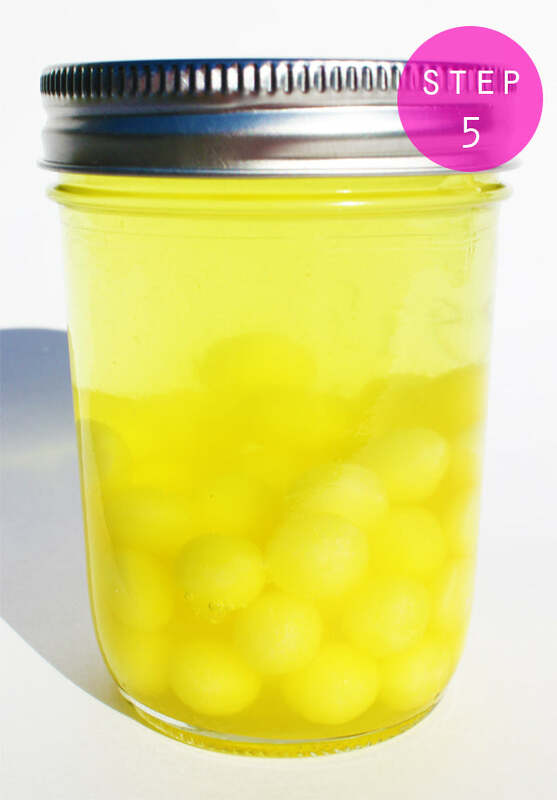 Even if not, if you like bubble gum you’ll absolutely love Dubble Bubble infused vodka. I say use that one, because it’s the best. Also, I’m not sure how other, softer bubble gums would hold up. But seriously, head over and look at the gorgeous pictures of the process on this one. It’s a sight to behold. Get the recipe at The Domestic Rebel. We love rounding up creative and beautiful candy buffet ideas and dessert tables. We hope you find them useful when you’re entertaining guests. But not every gathering calls for a huge selection of candy and desserts. That doesn’t mean that you can’t enjoy some candy with your cocktail party. Hope you love these ideas, and let us know how your infusing experience goes! Starbursts is the best, however straining is required. Conversation hearts don’t taste very well. I have made skittles, starbursts, jolly rancher, licorice, dots, lifesavers, candy cane, butterscotch, atomic fireball, laffy taffy, salt water taffy, candy corn, lolly pop/dum dum, and bubble gum (don’t reccomend for those who are Squemish as gum does not dissolve and looks like a brain n glows under uv light) all of these mix well with sprite. 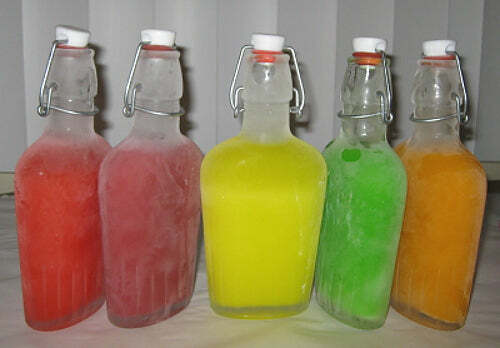 Orange crush, lemonaid soda, and apple soda mix well with bubblegum and some of the flavors… I don’t recommend using fruit juices as most juices are sweeter and make them sickening sweet. At this point I have tested and tried all kinds some work some don’t like dots the infusion tastes wonderful but don’t eat the left over candy like gummy bears… just don’t trust me. Great feedback, Jinx! If you have any pics of your infusing, we’d love to see.